Balsamic Pineapple Feta Bites - Who Needs A Cape? Need a yummy snack that’s flavor packed? 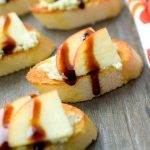 Balsamic Pineapple Feta Bites are a flavor sensation, perfect appetizer that’s super simple to prepare. Summer is FINALLY Here! I’m ready to dance in the sunshine! It feels SO good to be in the summer spirit and have the weather cooperating finally (I can’t be alone here am I?). One of my favorite things about summer is that it’s just easy. I love being able to have friends and family over and have easy entertaining! We’re outside, we’re eating, we’re drinking, we’re talking. It’s just how I like to do summer. 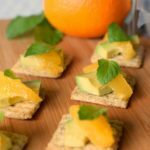 TRISCUIT Crackers are always in my pantry – whether it’s summer or winter – but in the summer for sure they are my go to easy appetizer starter! 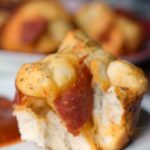 They just hold up to whatever topping I come up with – I mean they are made for more! That’s the best right? 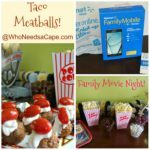 SO…TRISCUIT makes my summer entertaining EASY! You know we all love that! To start off my TRISCUIT Adventure I went on over to Kroger and helped myself! 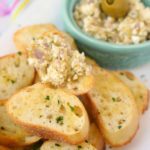 Kroger helps make my summer entertaining either – they had everything I needed for my planned Balsamic Pineapple Feta Bits including a huge selection of TRISCUIT Crackers (including the Original and Hint of Salt that I was looking for)! We all know how yummy TRISCUIT Crackers are, by themselves, but I’m telling you get your grill on and top those TRISCUIT Crackers! There are endless options. (love that). I mean a box of TRISCUIT Crackers and I can make anything – from sweet to savory the list goes on and on. 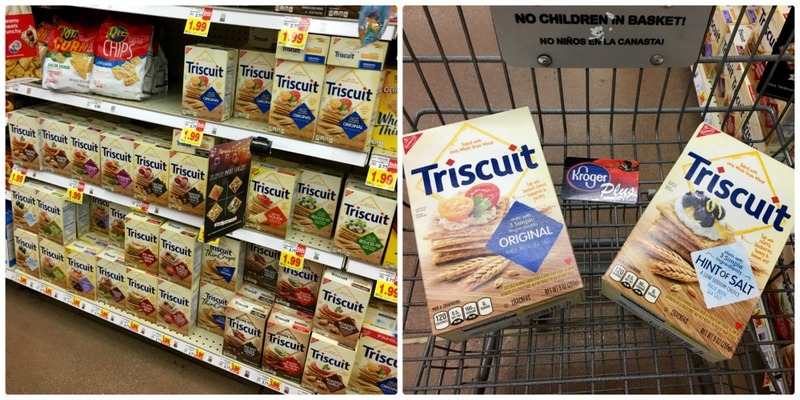 I love TRISCUIT Crackers topped with a dessert or with a snack – sometimes I even use it as my meal. My summer nights are so easy when I have a box of TRISCUIT Crackers. You can’t lose! 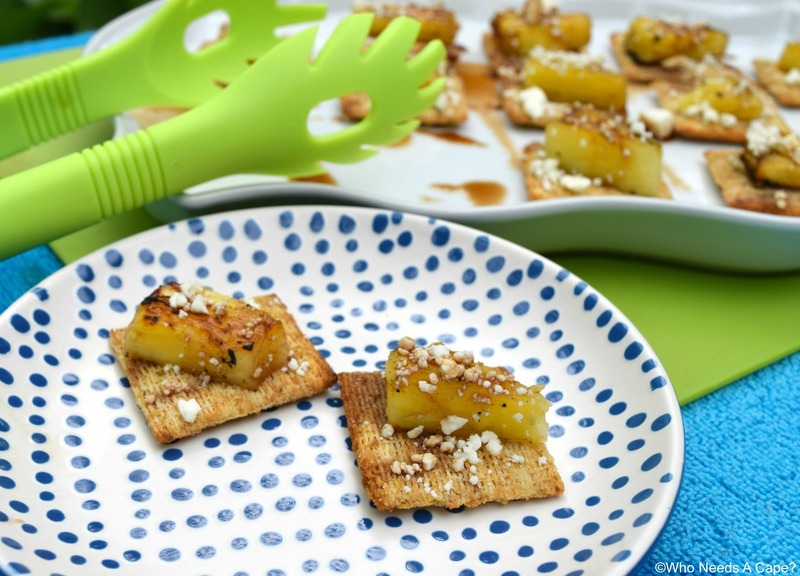 Allow me to introduce you to: Balsamic Pineapple Feta Bites or if you wanna shorten the name you can call them Pineapetasamiscuit too because names can be fun, right? These are the perfect example of how awesome TRISCUIT Crackers are! 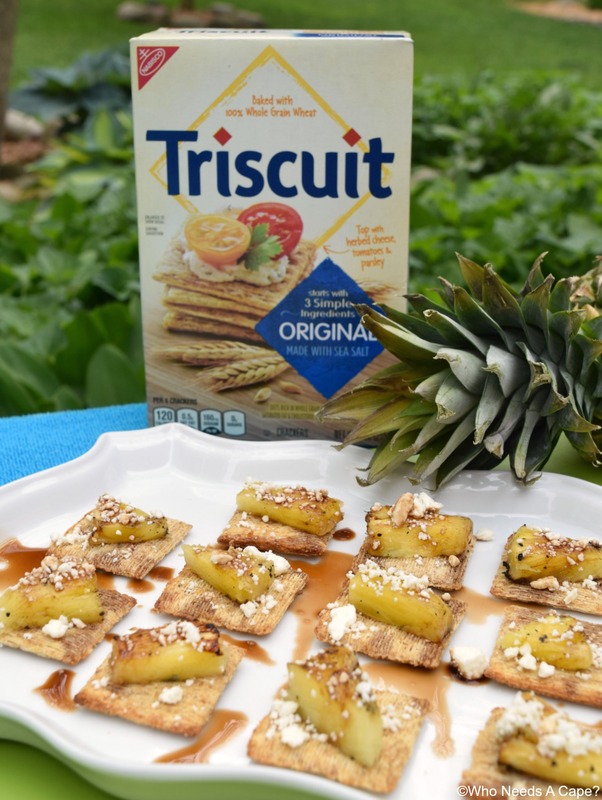 It’s savory with a bit of sweet from the pineapple, the TRISCUIT holds up to all that delicious flavor! 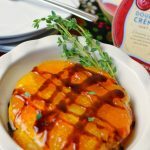 Want to know how simple Summer Entertaining Snacks can be? Let me tell you! And to put the Balsamic Pineapple Feta Bites together? That’s IT! That’s how simple it is to have an amazing summer night with your friends and to be proud to serve Balsamic Pineapple Feta Bits as a super tasty snack! 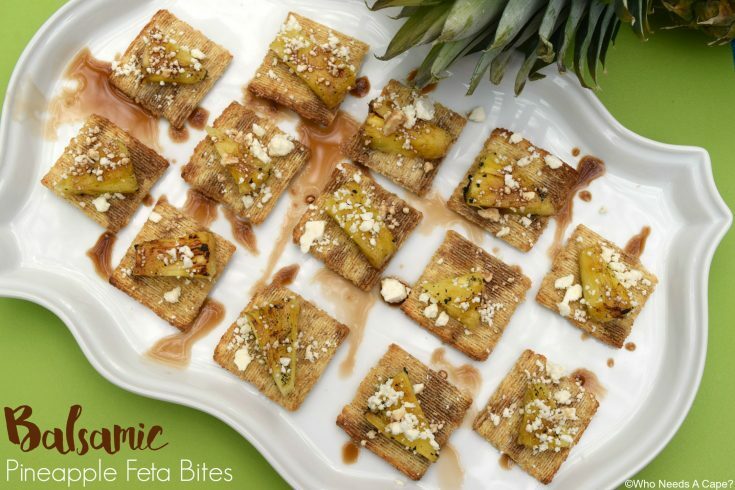 Just be sure to tell me below what you’re making after you eat your Balsamic Pineapple Feta Bites – something sweet for dessert? Lay 12 TRISCUIT crackers close together on a tray. 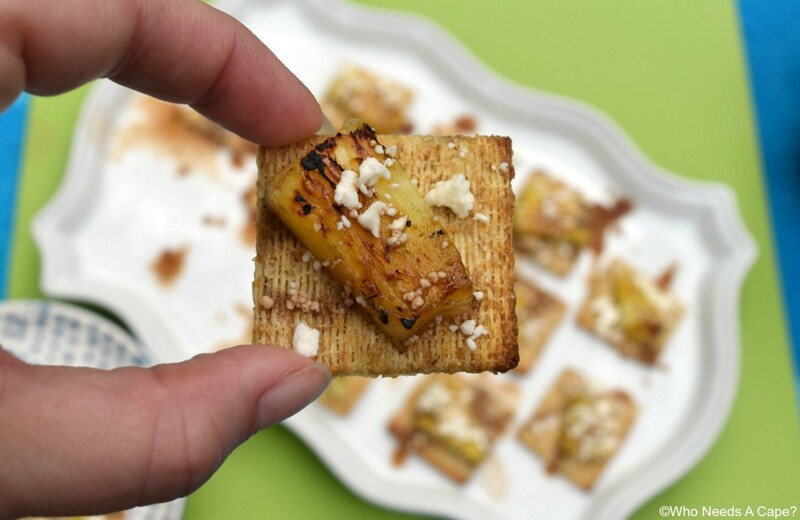 Place chunks of pineapple on top of crackers. Sprinkle with crumbled feta cheese. Drizzle Balsamic vinegar over top. Serve immediately.